Sparkle? Check! Fairy tales? Check! Dancing princesses? Check! Oh, and a dazzling 50ft Christmas tree spreading festive cheer through the medium of light and sound? Check! 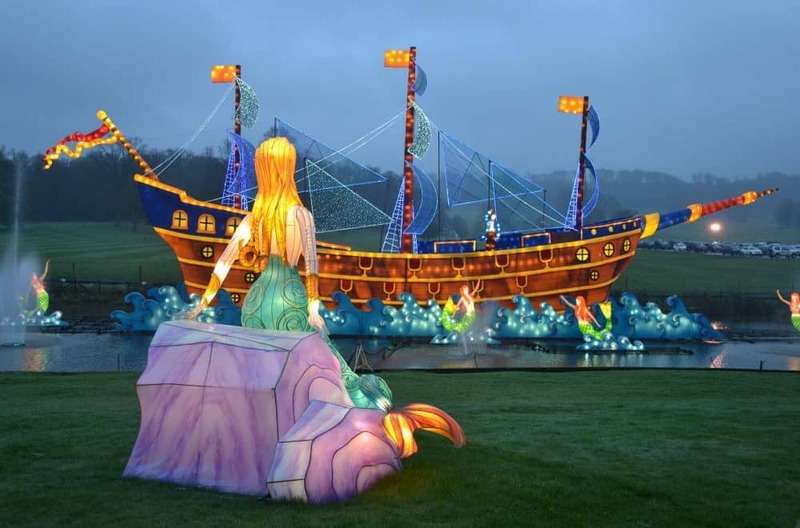 Could there be a more magical winter experience than Longleat Festival of Light in Wiltshire? 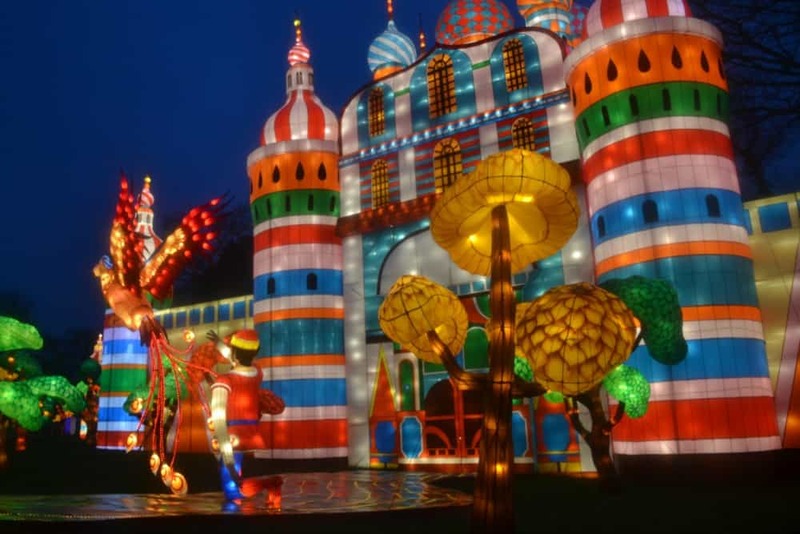 After being invited to review the UK’s largest Chinese lantern event in 2017, we think you’d be hard pressed to find winter illuminations to top it! The Festival of Light is now in its fourth year, and is bigger and better than ever before. A whopping 30,000 meters of silk have been used to create the displays including the Festival’s tallest castle which stands at 25.5 meters. The handsome prince will have quite a task to wake Sleeping Beauty from her slumber this year! Other fantastical fairy tale scenes feature Hansel and Gretel’s gingerbread house with moving lollipops, a 30 meter floating galleon from where the Prince captures the heart of the Little Mermaid, and Twelve Dancing Princesses pirouetting the night away. There’s a one way system around the formal gardens but the rest of the lanterns can be viewed in any order. The lights started to switch on from 3.45pm outside Longleat House so this is where we began the trail. The stunning Longleat House is dressed for an Edwardian Christmas with costumed actors narrating your visit. This house is just incredible, whether decorated for Christmas or not! We were wowed during our tour. Admire the 50ft multimedia Christmas tree in the Main Square. There are several shows after the dark when the tree comes alive with light and music, and festive scenes are projected onto the buildings around it. The A Flight Before Christmas show in the Longhouse is a wonderful opportunity to hear a different version of this classic seasonal tale. The stars of the story are the owls who spread their wings as pages turn. The whole lantern trail is outdoors so wrap up warm. The trail is buggy friendly, but if you decide to go into Longleat House or the Longhouse you’ll have to leave your pushchair outside. There’s plenty of places to sit down to eat indoors or at food stalls outside, but these will get very busy around dusk. Arrive early, leave yourself plenty of time to dine or bring some snacks. We ate in the Pizzia Piazza at 1pm and didn’t have problems getting a table. But by 4.30pm there were long queues. 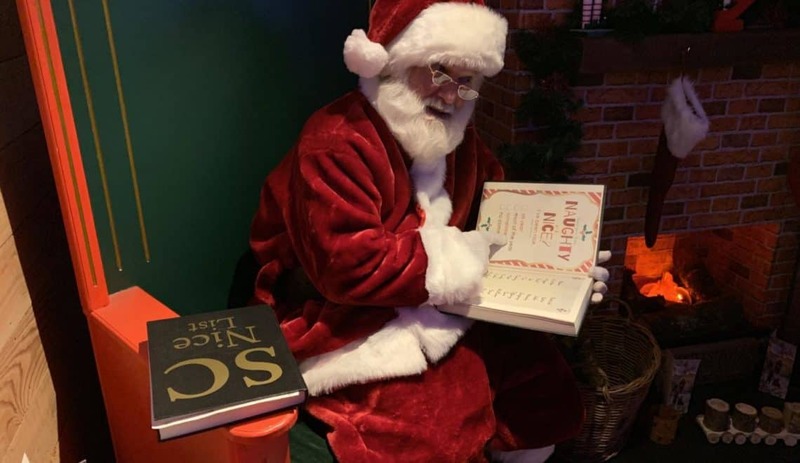 This truly is a magical event and, for us, was a special way to start the Christmas holidays. It was a sell out on the Sunday we visited and did get busier as the day progressed but the crowds were manageable. Arrive early – it doesn’t need to be fully dark for you to appreciate the lanterns – and take a slow walk around to admire the illuminations and soak up the atmosphere. 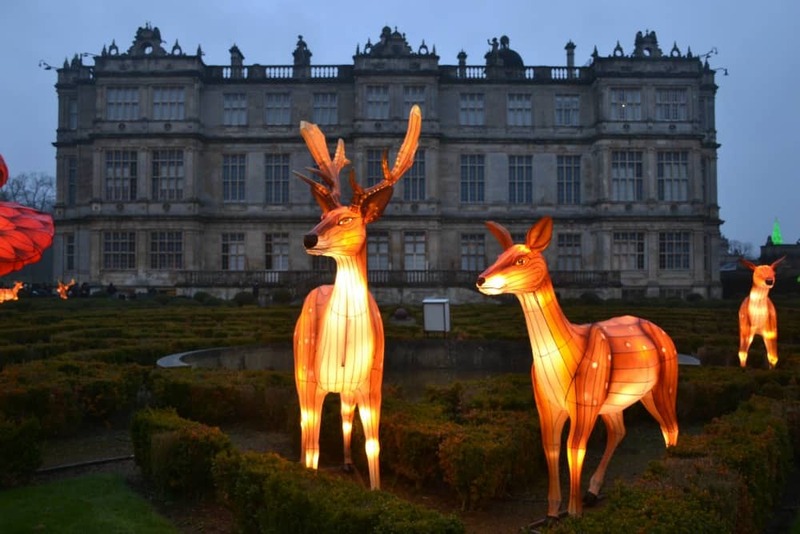 Tickets for Longleat’s Festival of Light must be booked in advance. Some dates are already on limited availability. The Festival runs from 10 November 2018 until 6 January 2019. Disclosure: we were given free entry to Longleat Safari Park for the purposes of writing a review. All opinions are my own and those of my family. 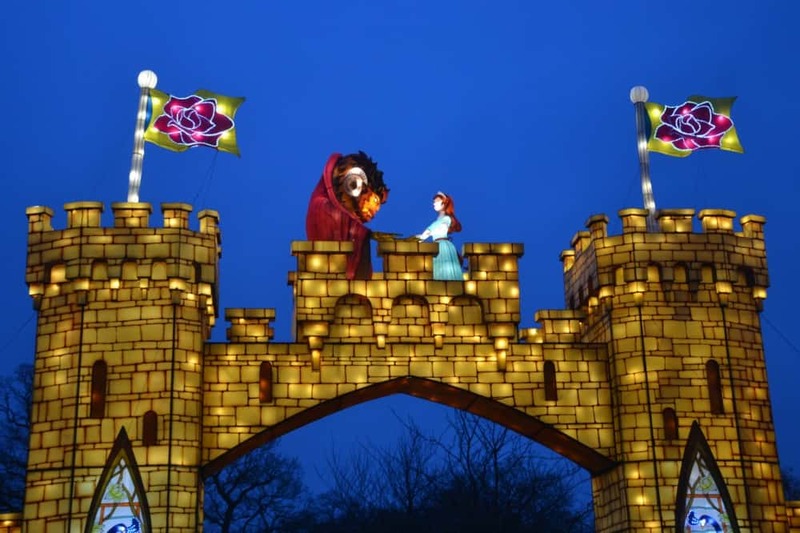 This does look absolutely magical – and the fact it starts early if you’ve got little ones in tow is pretty magical as a parent as welll however wonderful the illuminations, an overtired small girl rarely makes things more enchanting I’ve found! Claire these look stunning. I’m envious as it’s a bit too far away for us this year, but I’m going to look out for it next year. I know my two would really enjoy it. That dragon!! It was brilliant. It’s a bit far down the road for us for a day trip too, but luckily we were staying in the area!